Have a question? Need to reach us? Call, email, or fill out the "contact us" form below and we will get back to you as soon as possible (faster than you'd think). 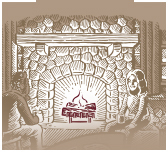 If you want to keep up to date with the latest happenings at the Mountain Cider Company, sign up for our newsletter by checking the box below the email field. We send a few emails a year with news, recipes, and tips, (we wont flood your inbox, we promise). Hope to hear from you. We prefer the personal touch when it comes to our customers, so we don't have an online order form. 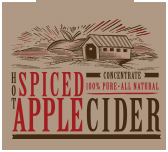 If you are a wholesale customer looking to serve or sell our spiced apple cider, contact us by phone or email and we will get you set up in our system. If you are looking to order a single jug of our Spiced Apple Cider Concentrate for the pantry, please fill out the form below and we can help you find the best reseller. Web Requests sent from a @yahoo.com or @aol.com email extenstion might not get forwarded. Please use another email extension, email us directly at info@mountaincider.com, or just give us a call. I promise we won't bite. E-mail* Yes, I would you like to join your mailing list!